As many students of prophecy know, the prophecy regarding the mark of the beast predicts the need for a religious law and so the powers that be need to do all they can to assure religious laws become part of society as soon as possible. They need to rush ahead with their plans because their dying god knows his time is short and so this is why Trump did what he did a few weeks ago to help the government approved 501c3 pastors have the legal ability to lobby for religious laws. See my May 4th video on this. As we also know, according to the Christian Bible the mark of the beast is Sunday laws. In fact, the Vatican has admitted more than once in writing that their unbiblical Sunday Sabbath is their mark of authority over all churches and even the Bible itself. And so this is why we have seen tens of thousands of articles the world over the last few decades wherein the Popes of Rome and their political pawns have pushed for religious laws and specifically a legally mandated Sunday Sabbath. See my Sabbath attack page for over 1000 of these articles and videos from the last 12 years alone. If you recall, back in December of 2004 we all witnessed the devastating Tsunami that killed over 300,000 people. But were you also aware that within a few weeks of that devastating disaster the Vatican friend and cooperatvive in this long prophesied agenda by the name of John MacLeod declared the reason people died in that Tsunami was because they weren’t going to church on Sundays. So the prophecy regarding their need for Sunday laws to prevent disasters finally became a reality in the minds of many scoffers that doubted the prophecy that very day. See my Feb 2005 Newsletter on this. And so now we see Al Gore, who was approached by John Paul II to push the global warming agenda decades ago; and I have a few videos on my climate change page on the website if you’re interested. 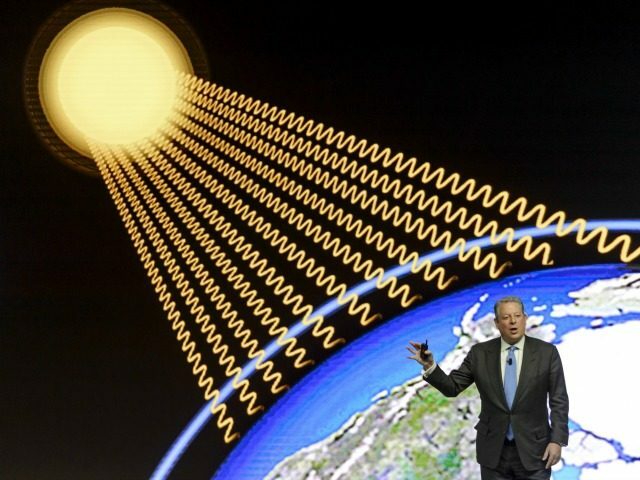 This man (Al Gore) was caught lying by every single living person on the planet regarding his Vatican contrived prediction that global warming was to come to a frightening conclusion in 2016 that never actually did. In fact, his predictions about the polar ice cap being gone by 2016 was not only proven a lie, the ice cap has actually been documented as growing in size. You might want to check out this website when you get time. Oh.. and when you go to that website you may notice that firefox and other browsers have a built in device declaring that website site to be dangerous so as to help the powers that be hide what’s on that website. So, expect a huge read page popup warning when you go there. So.. why are they doing this? The current calamities we see all over the world are prophesied to increase due to the sins of mankind coming to a festering and putrid head just as they did in Noah’s day when they legalized homosexual marriage, of which caused the Lord to move Noah to build the ark due to the global flood he was sending. Satan knew this then and he knows this now. And so he must react to this prophesied reality accordingly. Only this time he has come up with a way to use these already increasing global disasters to his advantage to try and get every soul on earth in his camp ready for hellfire. Using his man of sin in Rome he has devised a plan to convince all the nations on earth to gather as one so as to try and do something about the global disasters by using the excuse that we are all in this together seeing how we are all on the same planet. So, now that religious law is to be a legal reality soon, and yes this is why we see talk of Shariah law in the USA as well lately; Al Gore now has received the go ahead from Rome to start mentioning God in his global warming fiasco so as to open the door for the enforcement of the religious laws Rome plans to enforce, or the mark of the beast as we know it. And according to prophecy, this is what will happen next. The calamities will increase, the media will concentrate on making sure everyone on earth knows they have increased, so much so they will even fabricate calamities to bolder the panic in less frequent regions. The Pope will then step forward under direction of the physical Antichrist who by now is literally standing on the planet in bodily form claiming to be Jesus Christ incarnate. After this demon masquerading as Jesus goes about healing a few people and speaking in melodious tones to garner many souls into his camp, he then demands everyone on earth must keep Sunday holy so as to appease God who will then stop the calamities once they all obey. And to assure everyone does as he commands from Rome, the leaders under his control will then prevent the buying and selling of everyone on earth that refuse to bow in worship to the mandate, or “receive his mark” as prophecy calls it. Now do you see why every CEO and every political leader on earth have had those closed door meetings with the Pope recently? Now, since all that Satan spews is based on lies, the disasters will increase anyway because it has nothing to do with people breaking the Roman Sabbath. Those calamities, like in Noah’s day, are nothing more than the end result of all the sins Satan has moved billions to embrace all along. And so to get around that, Satan, who most think at this time is really Jesus Christ, will then declare all the real Christians still keeping the Seventh Day Sabbath are blaspheming his name and so they must now die to stop the calamities. And so he will move all those that worship him to step up to surround the people of God as the prophecy regarding Armageddon has predicted. Now do you see why we already have blasphemy laws in Islam and Shariah Law is right now being pushed in American courts? Since the people are already used to people dying under blasphemy laws, this will be accepted worldwide and so all the people of the world who have been conditioned the last few decades to kill thanks to watching violent Hollywood movies, playing violent video games, listening to violent Rock music and even participating and gambling on violent sports; all of them declare their loyalty to the Pope and his Antichrist to go forth and kill the Sabbath keepers by surrounding them on a specific date set forth by Rome. Problem is, this action seals the fate of all those that obey the Pope and his dying god claiming to be Jesus. The plagues then begin, and as prophesied in Psalms 119:126 we see that, "It is time for thee, LORD, to work: for they have made void thy law." The Sabbath keepers still alive at this time are counted in that prophesied number known as the Gideon band that stand firm in obedience to God’s law due to the Holy Spirit inside them that promised to help them to do so, and the obedient people of God never even get so much as a boil or heat stroke from the 7 last plagues falling upon all the wicked that have bowed to the Pope and his antichrist. The eastern sky then splits, the dead in Christ rise up, and we all go home together to leave behind all those that worshiped the Pope and his dying god. The pulverized dead bodies of the lost souls are now all over the planet as rotting dung due to plague #7; which by the way is the 125lb chunks of hail falling from the sky killing them as prophesied. And it is now that Beelzebub truly rules his subjects as his given name predicted he would thousands of years ago. For the name Beelzebub translated into English is, the god of the dung. One last thing. I already made the video for this blog entry. All I need to do is fine tune it a bit and I will be uploading it HERE asap.